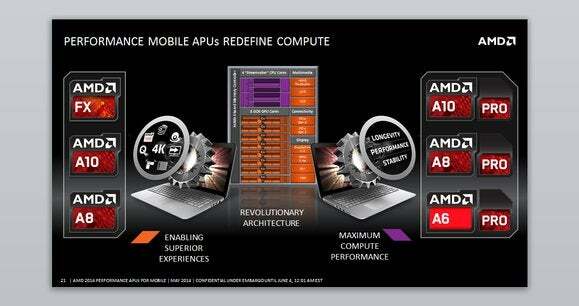 AMD hopes to finally step from behind Intel’s shadow with the launch of its all-new mobile APU platform, codenamed Kaveri. Despite lagging behind its nemesis’s offerings in terms of manufacturing process and thermal design profile (TDP), Kaveri looks to be a strong contender against Intel’s mobile fourth-generation Core lineup—including some of Intel’s Core i7 parts. AMD is marking that achievement by slapping its enthusiast-oriented FX brand on the best of its new parts. Kaveri processors feature integrated graphics, just like Intel’s mainstream CPUs. Unlike Intel, however, AMD has developed a heterogeneous architecture that allows the CPU and the GPU portions of the processor to access the computer’s entire memory space (up to 32GB). Intel processors with integrated graphics must share system memory, with X amount exclusive to the CPU and Y amount dedicated to the GPU. Unlike Intel's Core processors, both the CPU and the GPU in AMD's Kaveri APU can address the computer's entire memory space. 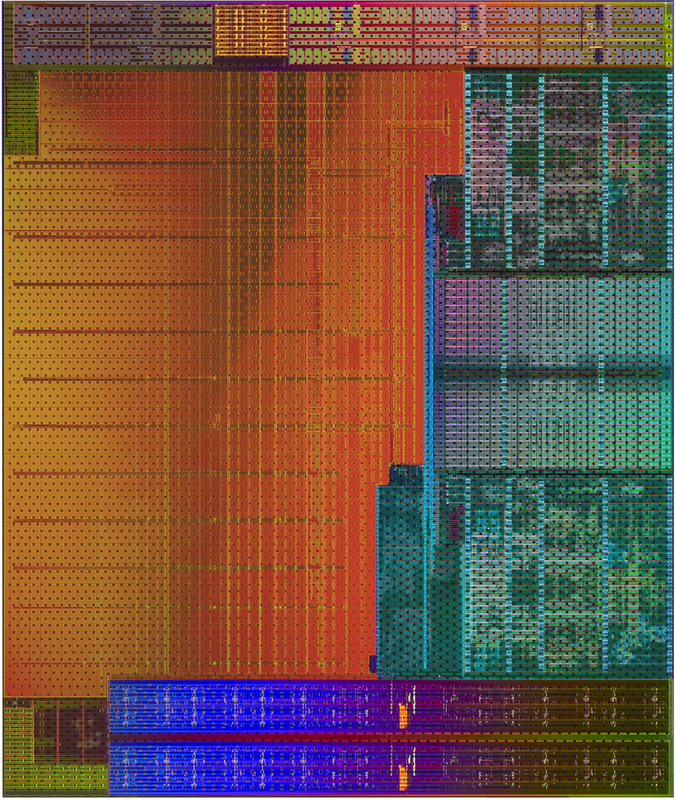 AMD classifies its processors according to the number of “compute cores” inside them. The most powerful mobile Kaveri—the FX-7600P with Radeon R7 Graphics—has 12 compute cores: 4 CPU and 8 GPU. It operates at a base frequency of 2.7GHz and is capable of jumping to 3.6GHz in AMD’s “Max Turbo” mode. The chip can address up to DDR3/2133 memory. At the other end of the scale, the A6 PRO-7050B with Radeon R4 Graphics, has 5 compute cores (2 CPU and 3 GPU). This chip operates at a base frequency of 2.2GHz and 3.0GHz in Max Turbo mode. It can address up to DDR3/1600 memory. AMD announced nine mobile Kaveri processors across three performance catetgories. The PRO parts are aimed at commercial laptop builders. 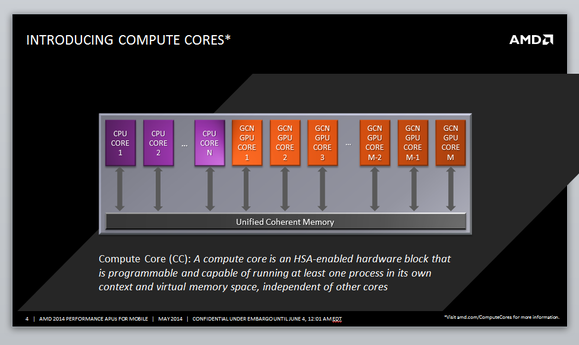 Kaveri's CPU cores are based on AMD's "Steamroller" microarchitecture, while its GPU cores use the same architecture as AMD's Hawaii-class discrete graphics processors (dubbed Graphics Core Next). As such, Kaveri APUs will deliver AMD’s TrueAudio sound technology and Eyefinity multi-monitor technology, as well as its hardware-based Video Coding Engine (VCE 2) and Unified Video Decoder (UVD 4). The GPU architecture also supports both Microsoft’s DirectX 11.2 gaming API and AMD’s own Mantle API. (AMD claims that Mantle will deliver up to 219 percent of the performance of DirectX 11 with games running on its FX-7600P processor.) Fully 47 percent of the mobile Kaveri’s die area is dedicated to GPU cores. Nearly half of Kaveri's die area is dedicated to graphics processors. Until now, the best AMD has been able to do is compete with Intel’s fourth-generation Core i5 chips. Now it’s comparing the performance of its FX-series mobile APUs against some of Intel’s Core i7 processors. The company claims its FX-7500 chip (4 CPU cores and 6 GPU cores) delivers equivalent performance with productivity apps (as measured by PCMark 8 scores) and 50-percent better performance with graphics (based on 3DMark scores) when compared to Intel’s Core i7-4500U (dual CPU cores with an integrated Intel HD Graphics 4400 graphics processor). Recall that I said AMD remained a step behind Intel in a couple of areas. AMD builds its mobile Kaveri processors using a 28nm manufacturing process, where Intel’s Haswell-class processors are manufactured using a more advanced 22nm process. 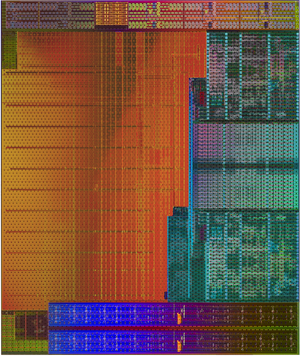 Intel is preparing to move to a 14nm process with its fifth-generation Core processor, codenamed Broadwell. While Broadwell has been delayed more than once, Intel did show off a prototype Broadwell-powered tablet at Computex. 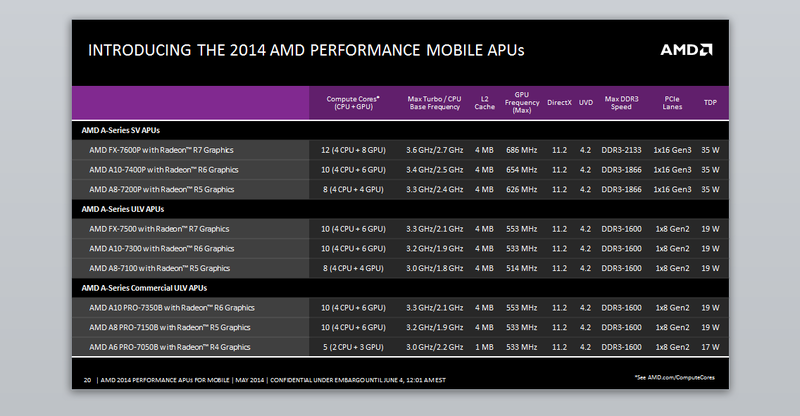 AMD's best mobile Kaveri part is faster than some of Intel's mobile Core i7 processors. Moving to a smaller manufacturing process delivers a number of benefits, including the ability to pack more transistors into the same amount of space and reducing the amount of electrical power the chip needs to function. The less power a mobile chip consumes, the longer it will run on battery power. 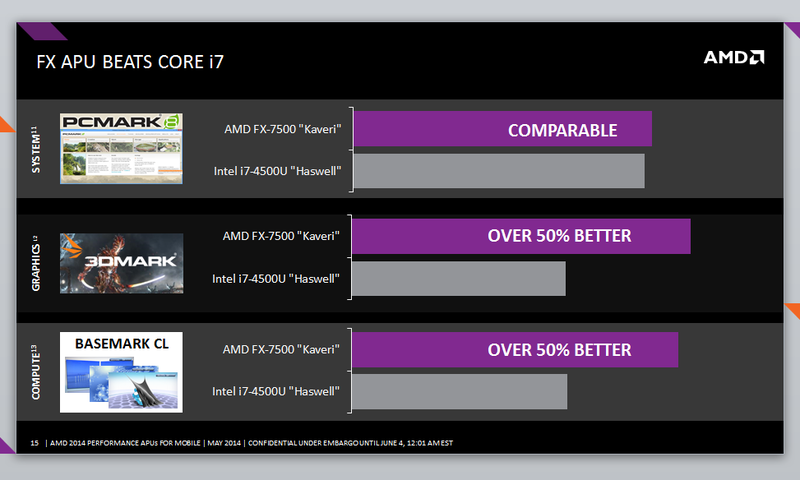 But Intel’s advantage on the power front isn’t as significant as you might think, given Kaveri’s graphics horsepower. Intel does have a number of fourth-generation mobile Core processors with much lower thermal design profiles than anything in the mobile Kaveri lineup that AMD announced today. But the FX-7500’s 19-watt TDP is not terribly higher than the Intel Core i7-4500U’s 15-watt TDP. And Intel has a number of mobile high-end Core i7 processors with TDPs of 37 and 47 watts, where AMD’s best mobile Kaveri part—the FX-7600P—tops out at 35 watts. I don’t anticipate that mobile Kaveri will have Intel shaking in its boots—especially since AMD says it won’t have any design wins to crow about until after Computex—but it looks as though the company does have a credible alternative to Intel’s Haswell-class mobile CPUs.